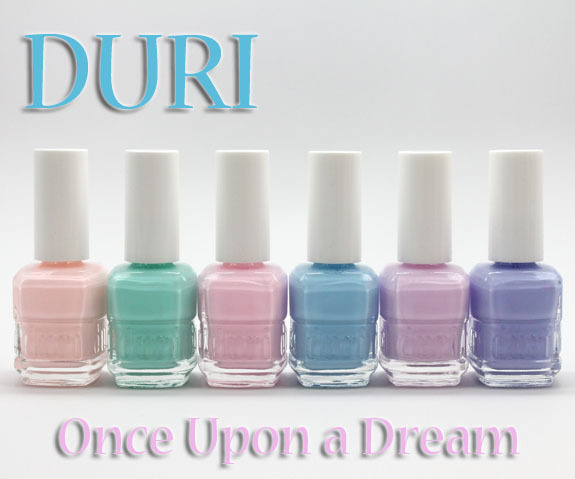 The Duri Once Upon a Dream Summer 2013 Collection features six new pastel creme shades. You might think this looks more spring-like, and I agree but this is what they said about the collection. There is something really soothing to me when I look at these shades all together. So pleasing to my eye! Soft, milky, creamy and soft. The formula while creme and pastel-like was pretty good with most, if not a bit streaky. They were 2-3 coats, depending. Pillow Pink is a soft peachy pink creme. This one required three coats as it is the streakiest one here. Pie In The Sky Green is a soft pastel mint green. I absolutely LOVE this mint because it’s so cool-toned and soft looking. This is a little bit streaky as well, but a third coat might help with that. This is two. Soft Slumber Blush is a pale cool-toned pink. This one is more pink, less peach than Pillow Pink. Again with the streaks, this was two coats. Cloud True Blue is a pale sky blue creme. This is a really nice soothing blue, love it. Really nice formula, no streaks at all and just two coats. Lilac Dream is a soft lilac creme. This is my favorite of the three pink-like shades. It makes my skin look tan for some reason! This had the least streaky formula of the pinks also, just two coats covered nicely. 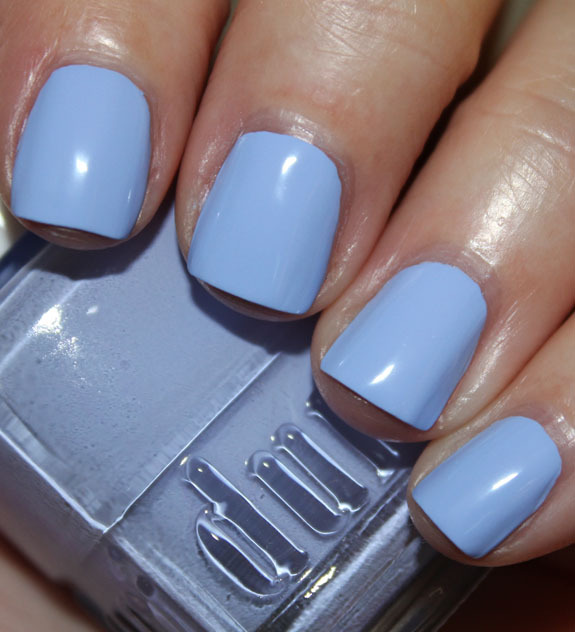 Sleeping Beauty Indigo is a soft periwinkle creme. Love this shade and it had a great non-streaky formula. Just two coats. Overall: While I am not sure there is anything super unique here, there are some great shades. 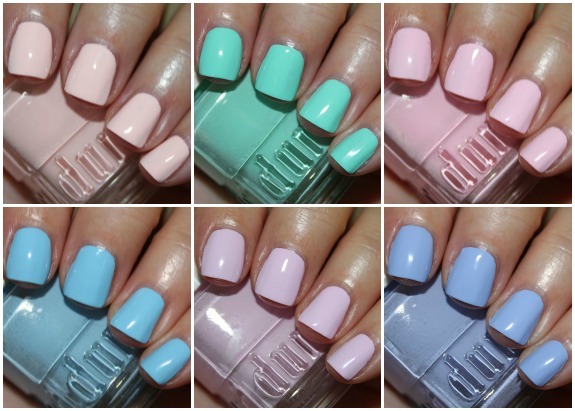 Pastels so tend to be streak-prone, especially lighter shades, so that doesn’t really bother me much. 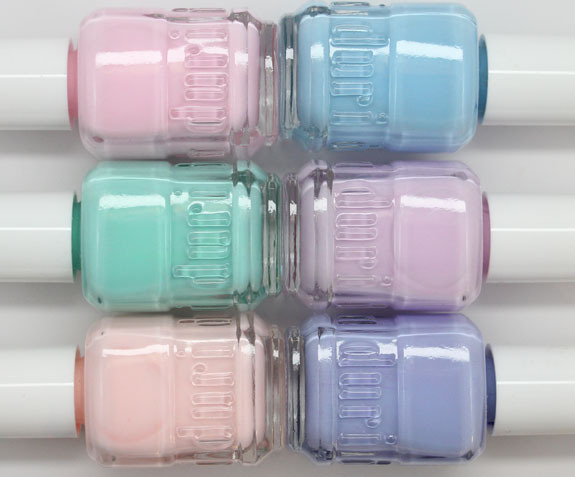 I think the ones that really stood out to me were Pie In The Sky Green, Lilac Dream and Sleeping Beauty Indigo. I know I have said this many, many times, but Duri is a brand that is VERY underrated. They have some really incredible shades, some of my favorite shimmery lit-from-within ones in fact. And what you get for $6.00 is pretty darn good! Check out my Duri nail gallery here and see some of the first ones, which are my favs! See anything here that you fancy?